You put your garage door to good use every day, so when it’s not working correctly, significant concerns may arise. When your garage door doesn’t close, it can be a hazard as well as a safety concern for your family. If you’re experiencing this issue, here are seven reasons why your garage door might not be closing. 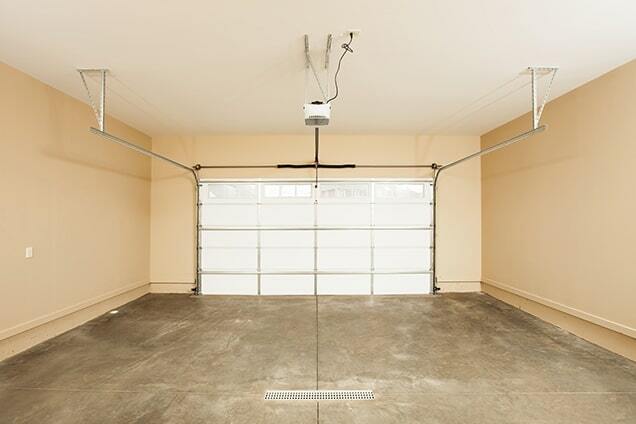 Your garage has photo eyes on either side that transmit an invisible beam to one another when it’s clear to close. 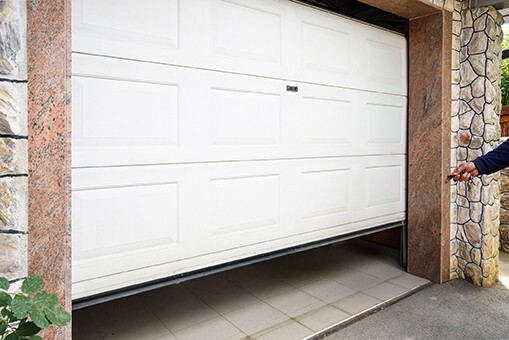 If the photo eyes are unaligned, the garage door system will not close because it hasn’t received the okay from the photo eyes that the garage is safe to close. Remove any items blocking the photo eyes and gently clean the lens to ensure it has a clear view of its counterpart. To check the alignment, make sure both photo eyes should be at the same level off the ground and pointed towards each other at the same angle. 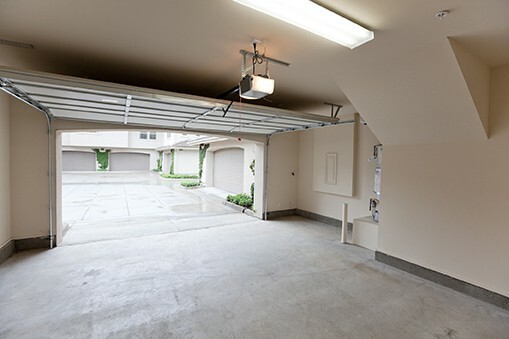 An off-track garage door can lead to a broken garage if it’s not fixed correctly. Inspect your door tracks to see if there are any bends, bumps, or gaps along the rail and rollers. These points are most likely where your door is misaligned and the leading cause of the problem. To realign the track, unscrew the track from the frame and gently tap it with a rubber mallet back to the correct position. If the misalignment persists, consult a professional. 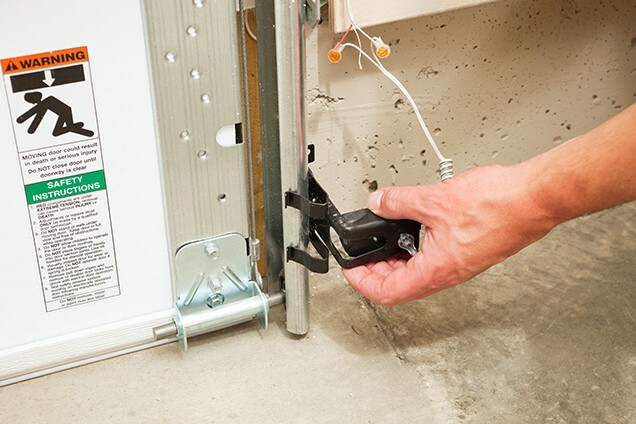 Every garage door system comes with a disconnect switch that allows residents to open and close the garage during power outages manually. The disconnect switch is usually a turnable knob or pullable rope which can be accidentally unhooked from the motor. To fix this, manually open the garage door, reattach the hook, and then try closing the garage door with the transmitter. Tensions springs and cables are crucial for the garage door to shut safely. If one or both breaks, it can be hazardous as nothing is cushioning the fall. Broken tension springs will put more pressure on the door cables, which will likely snap next. Avoid parking your car in the garage and stay away from the door until you can get a professional to repair your garage cables and springs. If possible, don’t open or close the garage door to prevent further damage. The limit setting is how far the door needs to move to completely close. If your garage door closes all the way and then immediately reopens, chances are you’ll need to adjust the settings. The settings are likely too high, and the door is hitting the ground before the system thinks it should. The system thinks it’s striking something in its path (as opposed to being closed) and will reverse. A problematic garage door remote is exceptionally inconvenient and caused by a variety of problems. The batteries might be dead, which is an easy fix with a battery replacement. If problems persist, you might have a problem with the antenna or need to reprogram the system. For a full diagnosis of your transmitter, you can read our blog about broken remotes. Not many people will unplug their garage door system. However, sometimes people will disconnect their garage door system to use the outlet for something else, and forget to plug it back in. Other times, it’s fixable with the fuse, circuit breaker, or GFCI. All Right Garage Doors is dedicated to repairing and servicing all aspects of garage doors all across Orange County. If you’re still unsure about why your garage door isn’t closing, give us a call today at (714) 726-2225 and let us know how we can help you. 3 Signs Your Garage Door Might Be A Hazard Why is my Garage Door so Noisy?